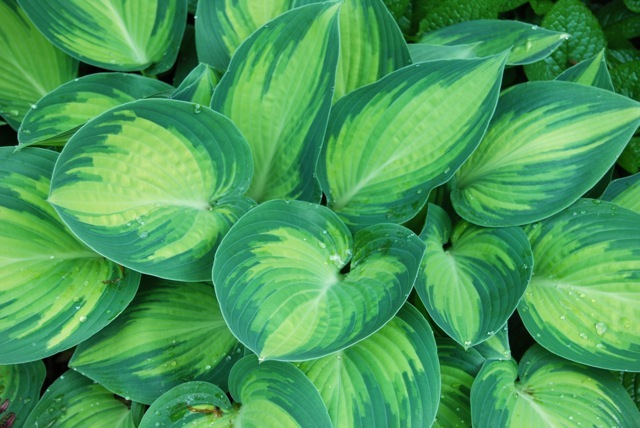 One of the best hostas to date. It is said that one should have two H. June's in the garden as it performs very differently in shade and in sun. In the shade the leaves are more blue green and in the sun completely different they are yellow. Tough leaves so not so tempting to slugs! !